"We have so many stories of our animals patients overcoming overwhelming obstacles. i've laughed and cried my way through so many of their stories, along with their faithful human families." Love to see Rob as the next Bondi vet, Rob looked after our Belgium shepherd Sherlock recently after being knocked down by a car, the attention to detail and the daily follow up calls and care factor for our fur baby, makes him, one hell of a dedicated vet. We have had the privilege of knowing dr. Rob for many years now. His compassion and generosity is not only limited to his professional practice but extends into the broader community. He is a genuinely awesome bloke with one of the best sense of humours around! Best vet ever. So informative and friendly. He would make the most amazing addition to Bondi Vet. Dr Rob is the best by far!!!!! He'd make the best Bondi Vet! Dr. Roberto! The best in the business! I've worked with rob and he's treated my dog - his dastardly good looks, farm cut figure, easy manner and gigantic brain make him a shoe in for Bondi Vet. Couldn't think of anyone better. Dr Rob counselled us through the heart breaking decision of when to say goodbye to our dear but very old dog Heidi. He was compassionate to our grief but also help us understand that her current behaviour meant she was in pain. Thank you Dr Rob! I couldn't think of a better Bondi Vet! Willing to give advice and care when ever needed, Dr. Rob is the one we always turn to. 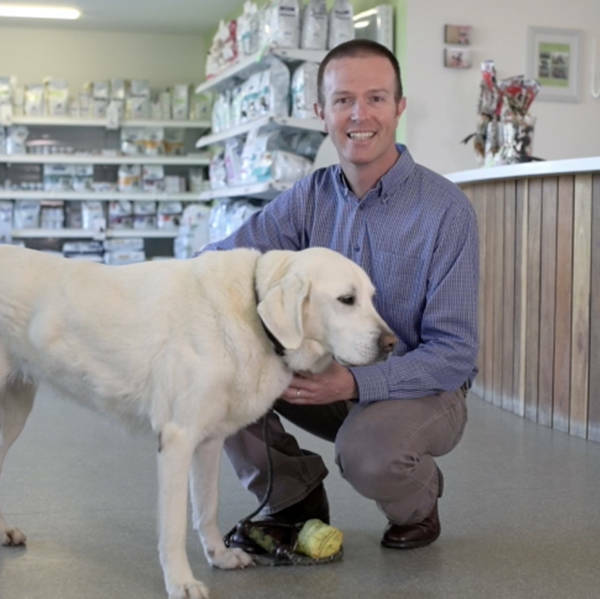 Being a good friend and great bloke, we know Rob's passion for his work makes him the best vet in Australia! I worked with Rob for almost 10 years and haven't met a more compassionate, empathetic and genuinely awesome human. If I couldnt practice, he's the guy I'd want looking after my animals. Highest praise from a colleague and friend. Good luck mate!! Rob treats every animal like it's his own, even if he hasn't met your pet yet! He's the best vet around!